Xiaomi's New Launch Redmi 5 is a 5.7 inch Full View display with great features and design. This mobile is available with three different variants of memory (2GB RAM + 16GB ROM), (3GB RAM + 32GB ROM), (4GB RAM + 64GB ROM). Redmi 5 has a 12MP Rear Camera for splendid quality, a 5MP front camera with Beautify 3.0. 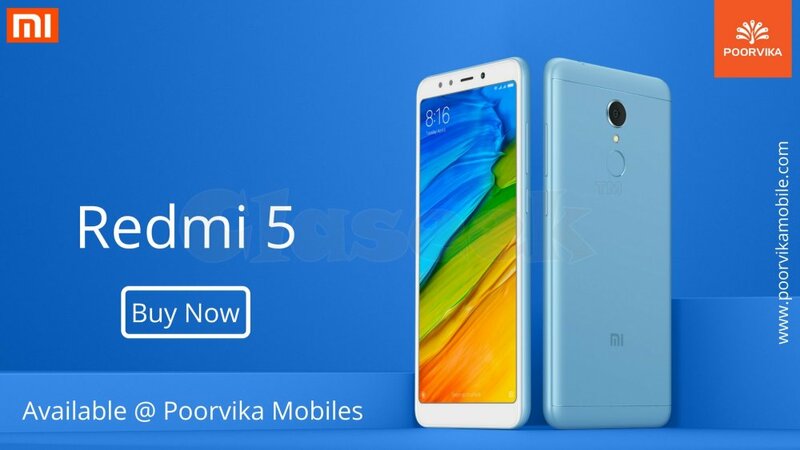 This Attractive Product now available with best offers on Poorvika Mobiles. Come & grab this mobile with Best Offers.